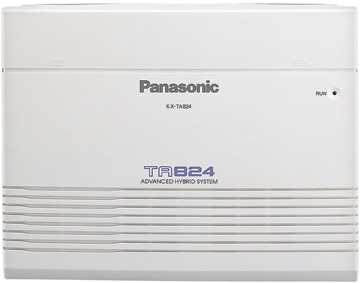 The KX-TA824 is initially equipped for up to 3 phone lines and 8 extensions. It's is a great start-up phone system because it is affordable, expandable, and very easy-to-use. Optional cards allow you to expand the capacity up to 8 phone lines and 24 wired and wireless extensions. A built-in Auto-Attendant allows callers to select from a pre-recorded menu of extensions or departments with single digit dialing. It includes Caller ID hardware allowing you to see who is calling or the calls you missed. 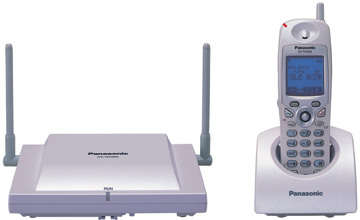 Single line devices such as fax machines and credit card terminals can be connected, eliminating the need for dedicated lines. A variety of phone sets are available for use on the system as shown below. Requires a KX-TA82461 Doorphone Card. 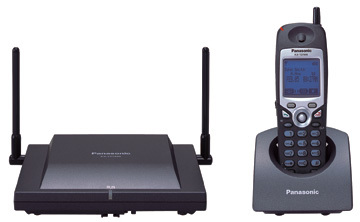 Panasonic is the leading provider of small business phone systems. We offer systems as small as three lines that can grow as your business does. You can start small and keep your initial investment when you need more lines and extensions. We offer both VoIP phone systems and traditional digital phone systems. This allows you to use VoIP when you need it and utilize reliable digital technology when you don't.